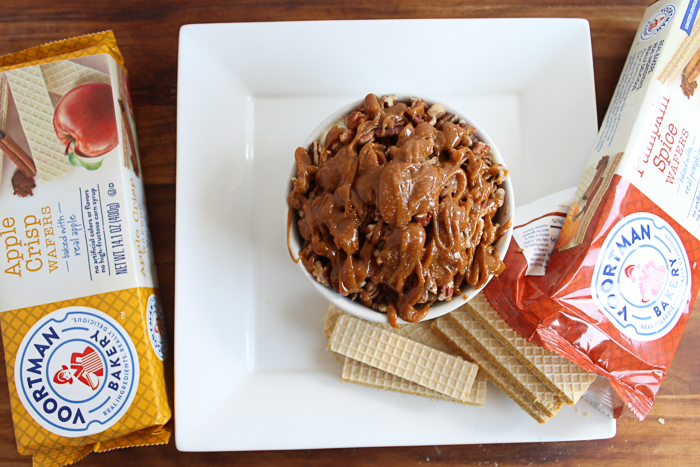 When you are looking for a fall dessert, look no further than this cheesecake dip recipe. 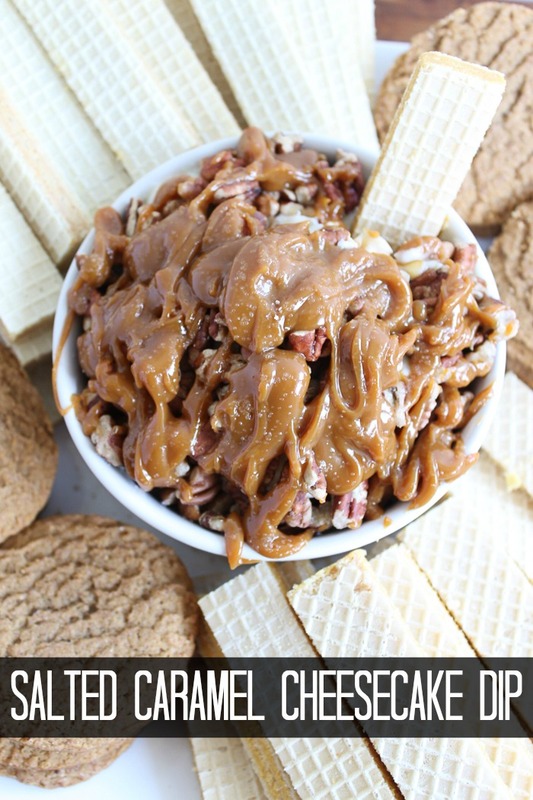 Y’all it is topped with salted caramel and pecans and is amazing! 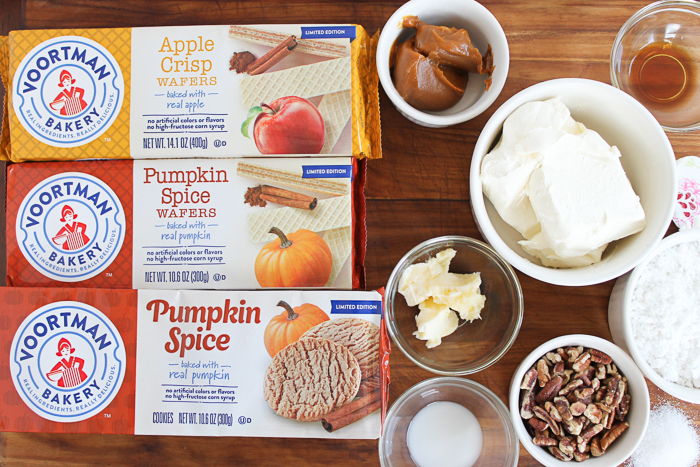 What makes it perfect for fall? Serving it up with pumpkin spice and apple crisp cookies from Voortman Bakery. Trust me. This one is perfect for fall dinner parties and even Thanksgiving! This post is sponsored by Voortman Bakery, however, all projects and opinions are my own. Mix the cream cheese, butter, powdered sugar, and vanilla well. Add this mixture to a serving dish. Microwave the dulce de leche with the milk and stir well. 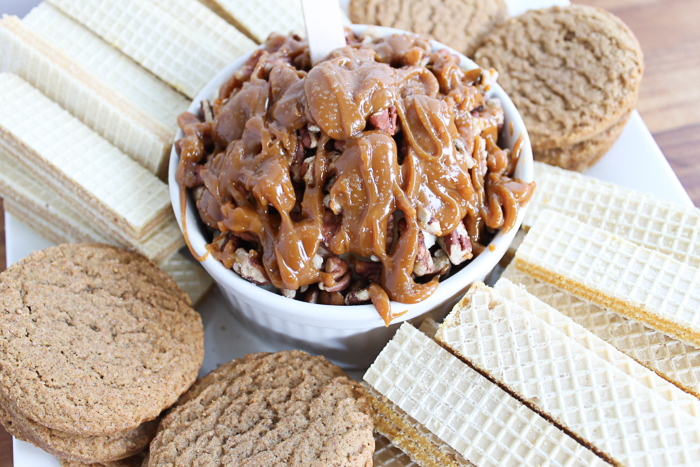 Then drizzle on the top of your pecans. Sprinkle with a bit of course sea salt to finish off this amazing cheesecake dip! Add the container to a serving platter and then add on a variety of cookies from Voortman Bakery. 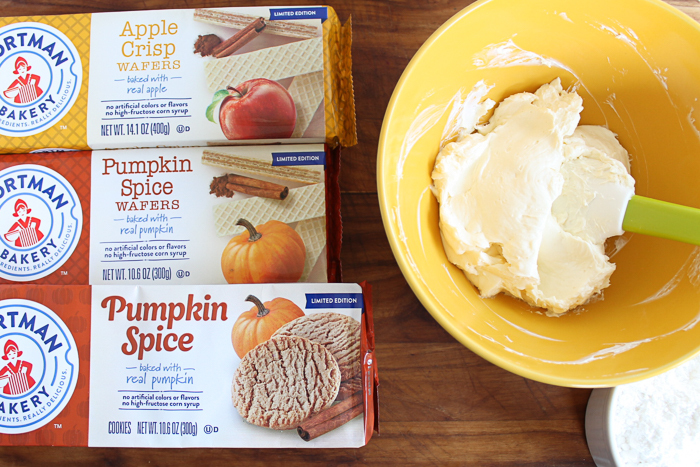 The addition of the pumpkin spice and apple flavor to this dip is really what makes it shine. 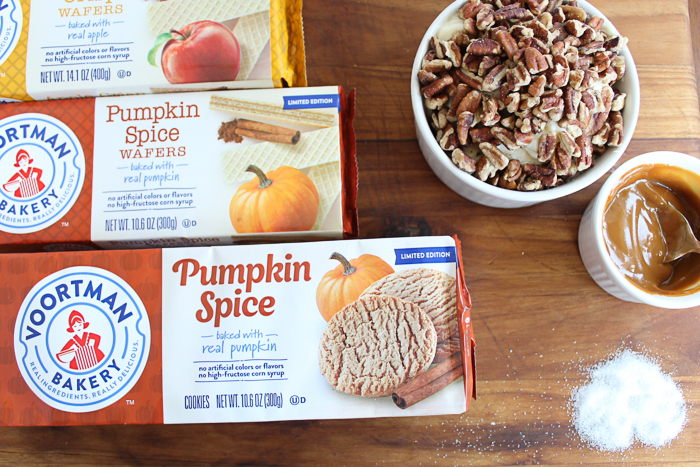 Plus it makes it the perfect dessert for fall. And y’all know that everyone loves dip! 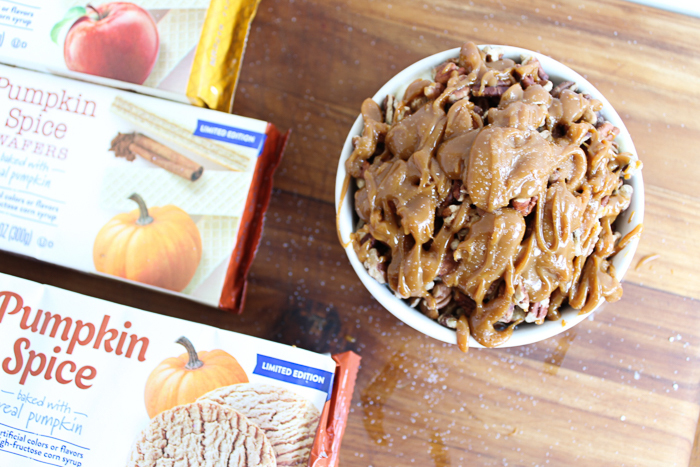 Just dive in with your cookies and come up with as much of that salted caramel goodness as you want. 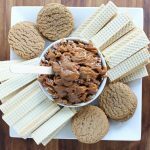 You will definitely want to stock up on quite a few packages of Voortman Bakery cookies for this recipe! 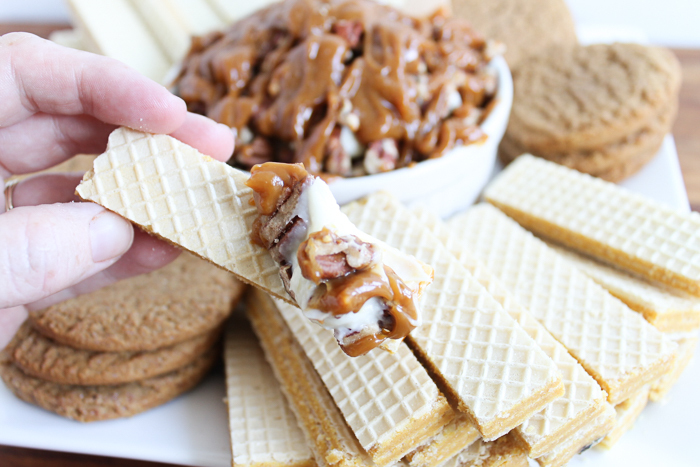 After you get started eating this cheesecake dip, you will want to finish every last bit! In fact, the entire family will love this easy to make dessert recipe. 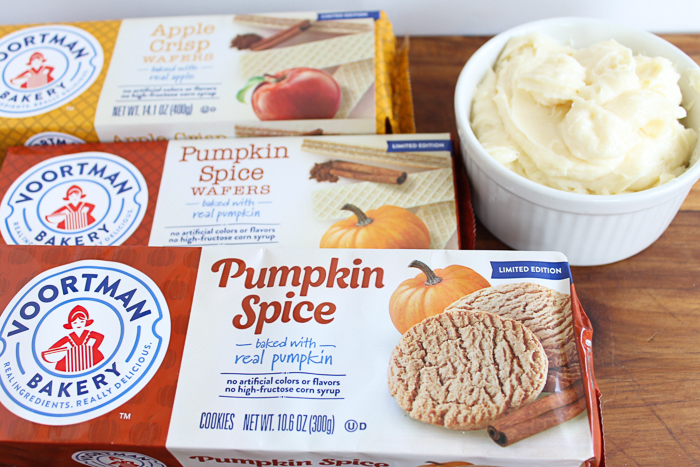 I mean pumpkin spice, cheesecake, and dippable cookies? How can you go wrong? 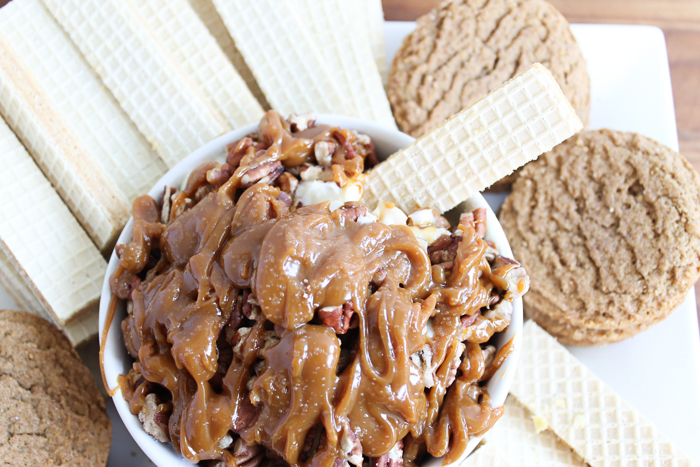 Pick up your Voortman Bakery cookies and make a batch of this cheesecake dip tonight! Need to print this recipe for later? Use the recipe card below! Your Cheesecake Dip looks amazing! Thanks so much for sharing with us at Full Plate Thursday and have a great week!